This hands-on course will equip you with excellent skills for a career in industry such as a government agency, civil engineering, the oil and gas industry or consultancy. 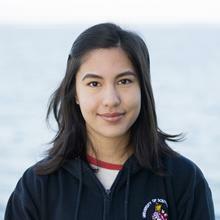 It is also a key stepping stone to a career in oceanographic research with many graduates going on to study for a PhD. 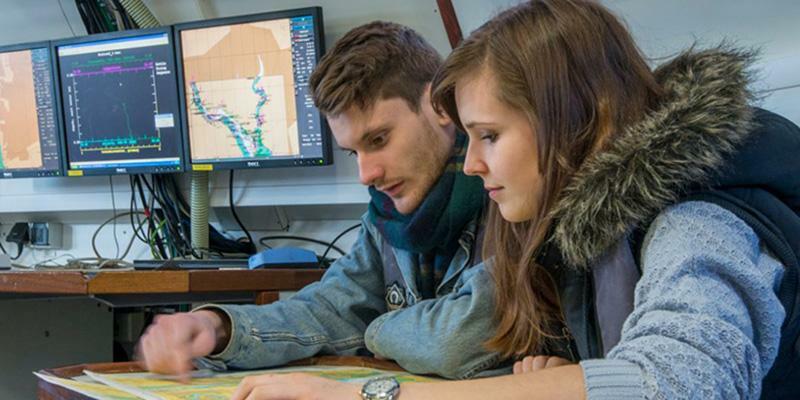 Our four-year MSci Oceanography programme covers all the key ocean sciences including marine biology, marine geology, marine geophysics, marine physics and marine chemistry and gives you the chance to learn more about the breadth of oceanography and the oceans. You will gain an extensive and in-depth knowledge of contemporary oceanographic science, and develop a broad variety of sophisticated laboratory and field skills and techniques. The course is taught by academics who have influenced policy decision-making at government, national and European level, and our students benefit from their links with industry, government and other major oceanography and marine biology centres around the world. In your final-year, you will carry out an extensive research project at the heart of one of our specialist research groups. All of our Oceanography courses are accredited by the Institute of Marine Engineering Science and Technology (IMarEST). Initially you will learn how the fundamental sciences of oceanography interact within the marine environment. Later, more emphasis will be placed on focusing your knowledge of specialised subject-specific marine science. You will develop your practical skills in the laboratory and on board our research vessels. There is also a dedicated oceanography field course and research-orientated independent projects. Studying at the NOCS was truly an invaluable experience for my career in research. AAB grade A levels or an equivalent standard in other qualifications approved by the University. These should include two sciences from Biology, Chemistry, Geology, Maths, Environmental Studies, Geography or Physics. Please click here to find out about other qualifications. We will consider your MSci Oceanography degree application as soon as possible after it arrives at the University. In selecting applicants, we use the information provided on the UCAS form to determine whether you have the potential to flourish within Ocean and Earth Science. Over four years, you will gain an extensive and in-depth knowledge of contemporary oceanographic science, and develop a broad range of sophisticated laboratory and field skills and techniques. You will take 6 compulsory modules which will enable you to place oceanography in a global context plus a mathematics module from either SOES1010, MATH1004 or MATH1008 dependent on your mathematical background. You will take one further option modules across the two semesters, subject to pre-requisites and timetabling. If you have GCSE Mathematics or AS-Level Mathematics (Grade C or below) or equivalent, you MUST select SOES 1010. If you have AS-Level Mathematics (Grade A or B) or A Level Mathematics (Grade C or below) or equivalent please select MATH 1004. If you have A-Level Mathematics (Grade A or B) or equivalent please select MATH 1008. If you have the International Baccalaureate, Standard Level Maths at grade 6 or higher you may consider selecting MATH 1004. If you have Standard Level Maths below grade 6 you should select SOES 1010. You will continue to acquire knowledge of a broad range of oceanographic topics from multi-disciplinary modules and those focussed on single-subject sciences as well as from the tutorial programme. If you had studied SOES1010 or MATH1004 in year 1, you must take SOES2036 plus one other option. If you had studied one or both of MATH1008 & MATH1009 in year 1, then you can choose two other options across the two semesters, which may include MATH2015 if both MATH1008 & MATH1009 were taken or SOES2036. You will have the opportunity to specialise further, and will choose FOUR from the following options. A major part of your final year will be an extensive individual research project that will develop your competency as a professional marine scientist. TWO options are chosen from the following list. A degree from NOCS will give you true global reach as you look for a rewarding career. Many of our graduates with degrees in oceanography go on to pursue further qualifications at doctoral or research Masters level in fields such as environmental sciences, water quality management, environmental resource management, environmental coastal engineering, exploration geophysics, seismology, fisheries, marine pollution and mining. On arrival at the University all MSci Oceanography degree students are assigned a personal tutor from the academic staff, who provides help and encouragement throughout the degree course and beyond, into industrial or academic careers and research opportunities. Each degree programme is a stimulating mix of lectures, practical classes, field work and tutorials, supported by computer-aided learning, and independent study. You will acquire an in-depth understanding of the fundamental principles and modern concepts within your chosen subject, as well as a good personal and transferable skills profile. The fully modular course structure allows you maximum flexibility for specialisation according to your own interests. 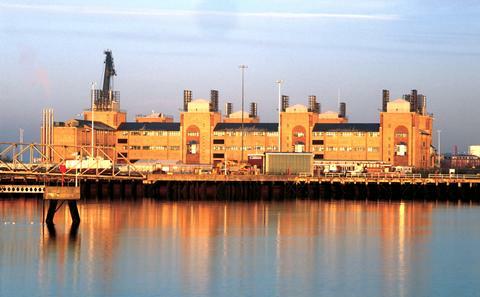 As part of the National Oceanography Centre, Southampton (NOCS), Ocean and Earth Science has a strong research-led world reputation. Cutting-edge research carried out by academic staff provides direct and enthusiastic input into a challenging and stimulating teaching programme. There is unique opportunity for students to undertake research projects with other NOCS-division scientists.